We’ve talked about tubing the Animas River and rafting the Animas River and kayaking the Animas River, but we haven’t yet discussed fishing on the Animas River. Because the Animas River and Durango’s Main Avenue run side by side, the river is incredibly accessible, with waterfront access and river put-ins dotted throughout the town. For those who love to fish, Durango offers more than just the Animas. The area also dishes up the San Juan River, Dolores River and the Rio Grande as well as the Piedrea, Los Pinos and Florida rivers. For those who want an expert to lead the way or who want to learn more about fly fishing techniques, several local outfitters, including Animas Valley Anglers, Duranglers, and The San Juan Angler, offer guided fly fishing trips to local waters. 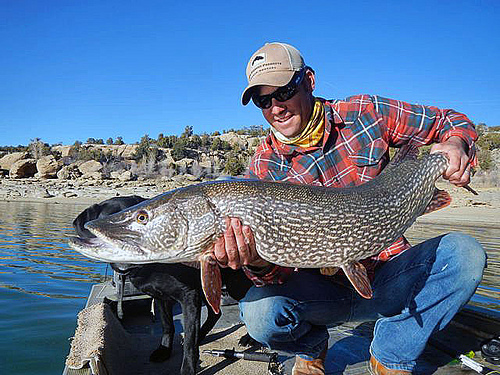 Local fishing outfitters provide both float trips and wade trips to some of Southwest Colorado’s best fishing spots where anglers can reel in rainbow trout, brown trout, pike and more. Duranglers, whose storefront is located in downtown Durango at 923 Main Ave., also offers a monthly class for novice fly fishers. The class covers the feeding habits of trout, how flies imitate the bugs that trout eat, essential knots, rigging your rod, and how to cast a fly rod. The class is taught by Glenn Tinnin, a certified FFF Fly Casting Instructor and veteran guide. The class costs $125, and space is limited, so wannabe students should make reservations by calling the store at 970-385-4081. Duranglers’ next class is July 12, and they’ll offer another fly fishing class Aug. 10. P.S. While you’re in our lovely city to catch some big fish, be sure to stay with us at the Durango Quality Inn!